GOOD NEWS! The special deal you’ve been waiting for is finally here! 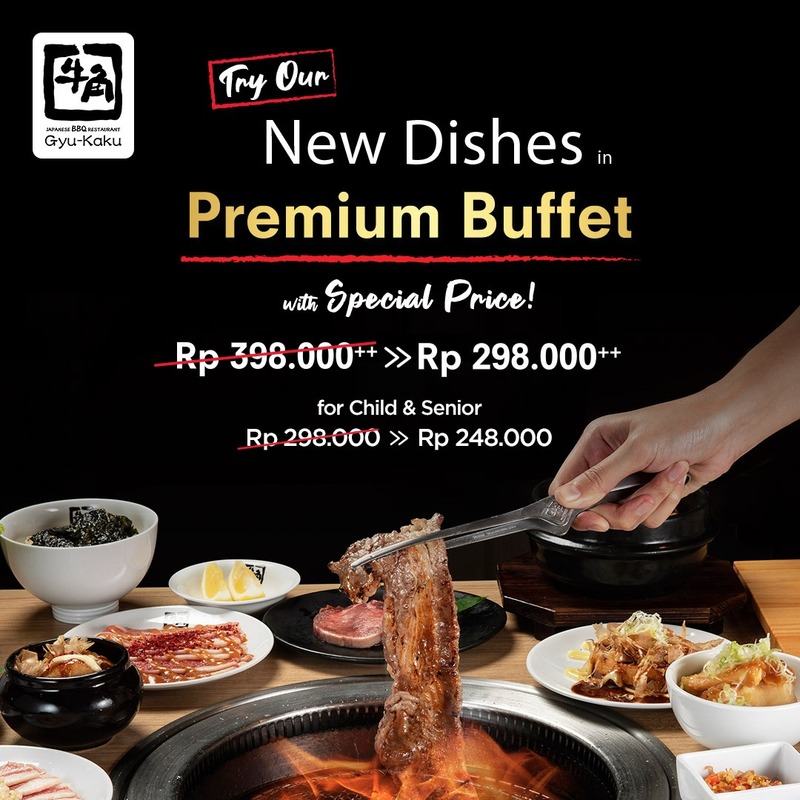 Try our new dishes in Premium Buffet now for the special price of only Rp 298.000++ and Child & Senior level for only Rp 248.000++. This special deal only valid from 5-6 April 2019. So, what are you waiting for? Bring your meal buddies and enjoy an amazing barbeque experience with @gyukaku.id at Neo Soho Mall, LG floor.